Front doors of a house in Lijiang, China. 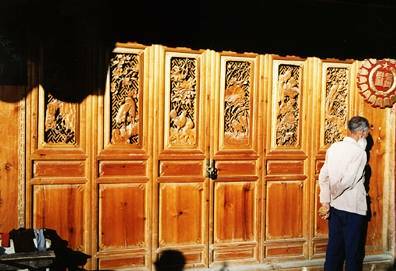 The intricate carvings are common on houses in this area of China. 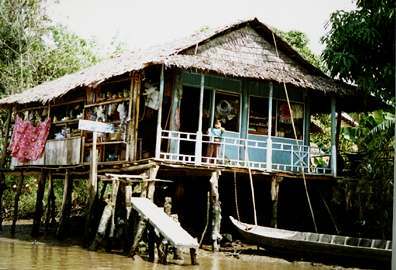 House built on stilts to protect it from flooding in the Mekong Delta, Vietnam. 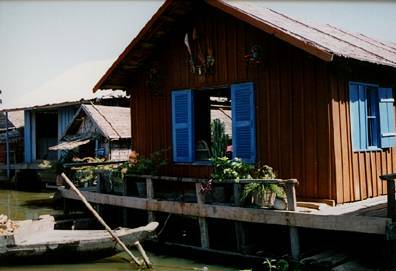 Floating Houseboat near Siem Riep, Cambodia. 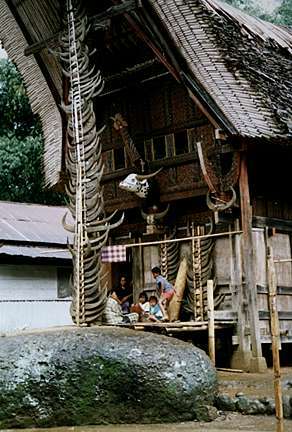 Traditional house near Rantepao in central Sulawesi, Indonesia. Wealth is measured by how many water buffalo horns can be collected by slaughtering them at various ceremonies.